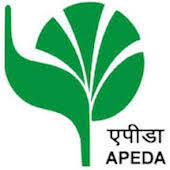 Online Application Details for Agricultural and Processed Food Products Export Development Authority APEDA Recruitment of 1 Director and 1 Deputy General Manager is given below. Application form and duly attested documents are to be sent to General Manager (P&A), Agricultural and Processed Food Products Export Development Authority (APEDA), Ministry of Commerce and Industry, Govt. of India, 3rd Floor, NCUI Building, 3 Siri Institutional Area, August Kranti Marg, (Opp. Asiad Village), New Delhi-110 016. In envelope super scribed with'Application for the Post of Post Name'.